To ensure that your holiday in Villnöss is as comfortable and carefree as possible, our regional tourism association has come up with something. During the duration of your stay, they will provide you with the free Dolomiti Mobilcard, which will be handed over to you when you arrive and which offers you numerous attractive advantages all year round. Take advantage of the many mobility options offered by the Dolomiti Mobilcard during your active holiday. You can use all public transports as well as the summer hiking bus, the Raschötz orbit, the hiking bus to Gröden, the ski bus to the Plose and others free of charge. As a holder of our guest card, you can also use the outdoor pools in Klausen and Feldthurns, as well as various ski lifts in winter. A highlight in the Eisack valley is the Acquarena in Brixen, where you have free access to the pool area with the Dolomiti Mobilcard and a discounted access to the sauna area. 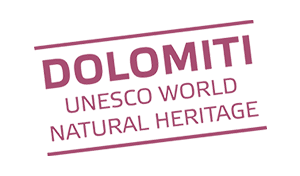 You have free entrance to over 90 participating museums in the whole South Tyrol! Let us take you on a guided hiking tour through our magical region. Nature park hikes, ski, snowshoe and spring trips or Törggele hikes are also free of charge for you. Also the Dolomitit Mobilcard offers you free of charge a year-round wine tasting in selected vineyards of the Eisack valley, one of South Tyrol’s most important wine regions. Whether a reduced entry to the Villnöss high-ropes course, a cheap bike rental or a reduced fee for your parking area, where your hiking trip starts, with the Dolomiti Mobilcard you can have good chances in many other places in Villnöss. This overview provides information about the entire offer of the valuable guest card.